Download these templates and discover how CMC's experts define project plans to improve management, production planning, quality, and building effective systems. Get expert advice and improve your factory management systems with 4 free templates. You, or your supplier's, factory is likely to have some issues, and you know what these are and want to tackle them. So how do the experts at CMC tackle factory improvements? A management system that aligns everyone's goals and objectives for improving faster and better results. Good process controls to ensure products are of high quality. 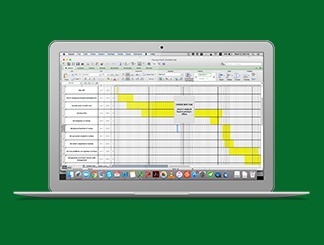 A production planning system that is adapted to your unique manufacturing activity, in Excel and then in an ERP system. The purpose of showing such a level of detail is to make it clear how much work goes into building well-adapted systems that employees will actually follow. To get the 4 templates for yourself and learn how CMC can help you, simply fill out the form and click DOWNLOAD.